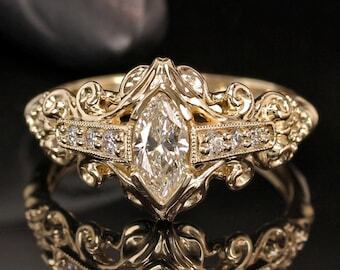 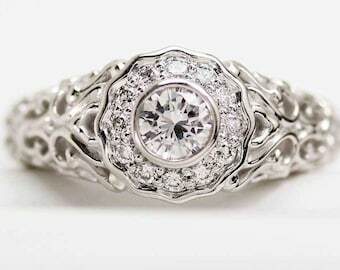 Original scroll filigree style ring designed and made by me. 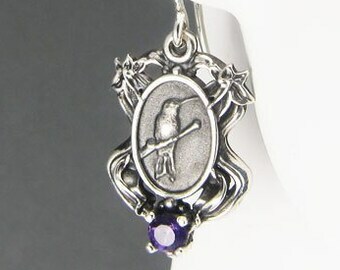 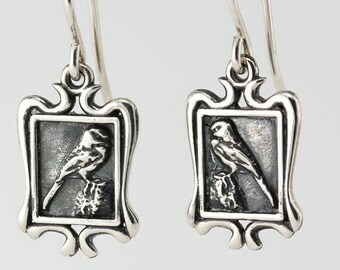 Highly detailed with hand engraving. 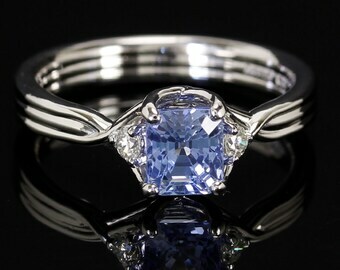 incredible 0.74 carat oval blue genuine sapphire with two side diamonds 0.10 carat total weight. 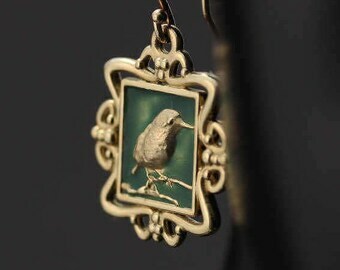 SI g-h.
Open filigree scroll style with small leaf design. 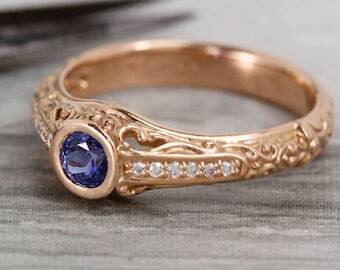 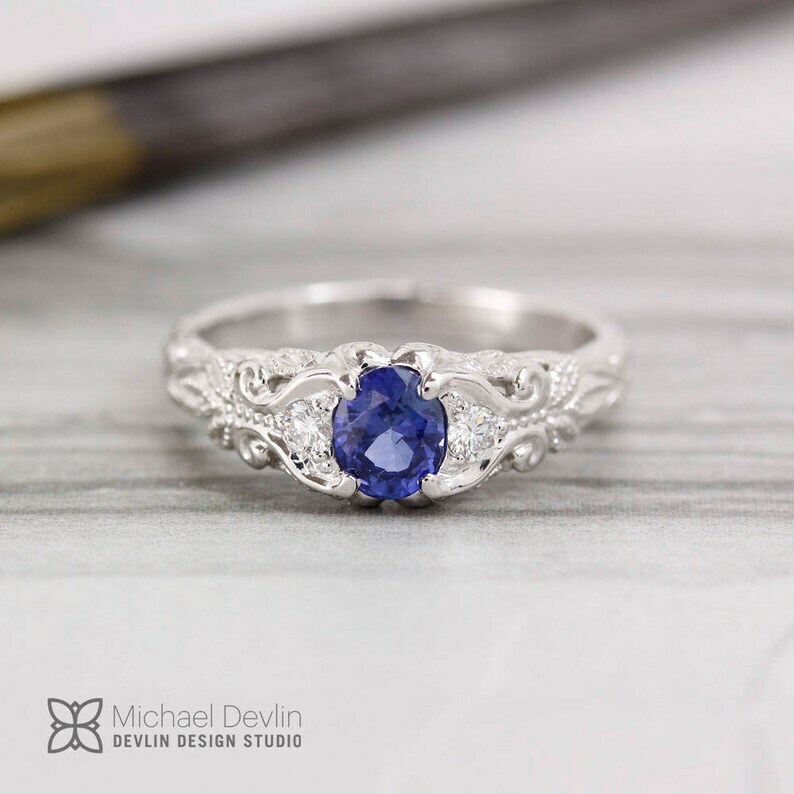 Filigree scroll ring with blue sapphire with diamonds.